It was almost... strange to think that he would be coming back up this way. Having helped the pale woman and given her the information she was looking for on his home, he was still out to continue his mission with gathering some more pieces of scrap metal to bring back to the court. He had been able to come across some in Halifax, having placed the pieces in the bag he had brought along with them. Many of the pieces were broken ones, or even rusted, but this would be a good way for him to test the quality of the metal or whatever other effects they may have. Trying not to dwell on the past, he began to push ahead. His goal was to make it to Amherst, figuring it would be the next best place to go looking for the scraps he needed. Of course, there were smaller places around the area, but it would be much better of his time to travel to places he was more familiar with rather than sidetracking to a place that would end up in a dead end anyways. He nodded to himself before turning his gaze on the snow covered path ahead. Let me know if there is anything you want me to change. +300 words. The last time she had gone so far south, it had been before the first snow. Being a Loner and with nobody to watch her home when she was away meant that her travels had a limited range from which she could go. Though, she could very well go farther if she needed to, Asura’s worry about what scavengers might come across her home often made her unwilling to make the venture. It had been one of the final words of warning that her mother and uncle had given her; not all Loners follow the moral code that Luperci in a pack would. It meant that stealing, destroying, killing, and many other nefarious deeds were not off the table for some. If Asura was to live on her own, she had to be careful. A trade deal had been the reason for why she had come out so far. She had met a rather feral-looking couple while at Biff’s Bar, and after a few good hours of pleasant conversation, they had come to realize that they had something that the other wanted. For some herbs, a jar of healing salve, three shed deer antler pieces, and some sea glass shards, the couple would provide three large seal skins, a medium seal skin, and a sack of seal meat. The catch? Asura had to go down to the Waste where the seals liked to congregate. It was a fair trade off in the Creo’s mind. Once she found a tailor or someone skilled with crafting items from animal skins, Asura would be able to turn the seal skins into a new cloak. As for the couple, apparently they knew a vendor that craved seal meat, so, the excess that was not taken by them or Asura would not be wasted. Following their directions, Asura had managed to find them easily enough. They had been both intrigued and tickled pink upon seeing her elk “pack pony,” Saul, had admired her stallion, Muddy, and had had fun with her raven, Pan. After introductions, the rest of the day had been spent killing seals and dividing up the carcasses. The following day, Asura and her animals had set out to make their way back home. Not familiar with the area in winter time, she had pointed them down some worn trading paths to prevent them from having to traverse any deep snow drifts. With Saul laden with seal goods, the Creo didn’t want to make his trek any more arduous than it needed to be. They had been making good time when Pan flew down to them. “Dark one ahead! Dark one ahead!” He squawked. Pan used the motion of his perch to leap into the air and return to the lofty height that he had been patrolling at once before. A darkly furred Luperci was up ahead that Pan thought looked vaguely familiar? It caused a frown to form on Asura’s lips as she spurred Muddy to pick up his pace from their once leisurely amble. If the individual was, indeed, dangerous, it would be easier and faster to have the stallion and the elk go from a canter to a run than it would from their travel pace. It didn’t take long for the individual to come into view. “Hibiki? !” She called out, slowing Muddy and Saul’s pace back down to a walk. “Is that you? !” Could it really be the ex-Sapien? It had been months since she had seen any of her old packmates since everyone had gone their separate ways. Recognizing her friendly body language, Pan flew back down to their level, perching himself on one of the packs on Saul. “See, dark one. Knew seen befooore,” he warbled proudly in an I-told-you-so sort of tone. Hibiki hadn't really noticed that he had been spotted by something above him. Honestly, he didn't think much of the other animals around him. Horses had their uses for being mounts, which was something that he intended to work on now that he could turn some of his attention away from the upkeep of the forge. He had no current projects to work on, and this trip was more or less something to help replenish his stocks for something in the future. When it came to Asmund, the feline could pretty much take care of himself. He was indoors a lot more with the snow around, so it was more important now to make sure his companion was eating just as well as his master was. He was certain that once spring came, the feline would be back to acting like he owned the place again, catching his prey and bringing it back home just as the luperci did for themselves. The dark male's head rose to the sound of his name. A scent began to linger towards his direction, a voice he found familiar reaching his ears. He had been so focused on the road ahead of him that he didn't think there might be anyone else in the area. It would just be a distraction from the main task... but then again he was never one to think of an interaction in such a way. When his light blue gaze shifted in the direction of the voice, he was surprised to see someone recognizable coming towards him on a horse. It was Asura! She had quickly dismounted from her horse, padding up to him. Before he could even get so much of a word out, she presented him with her question in a rapid pace. He couldn't help but give her a smile when they stopped, "It's nice to see you too Asura." Once she was done starring at the bird that spotted him from before, he went on to answer her, "I've been well. Since before Sapient fell, I had an invitation to join a friend's pack when it finally disbanded. After thinking long and hard, I accepted her offer. I live in Cour des Miracles now." That works for me. +300 words. Sorry for being slow @__@ Stuck in that post-SoSu slump still. She ignored Pan’s interjection. She was used to the bird, and his comment offered little to the conversation at hand. It would be a learning experience for the raven; that smugness would be ignored. Hibiki returned her greeting with a smile of his own, answering her questions and confirming that life had been as good to him as his appearance lead her to believe. 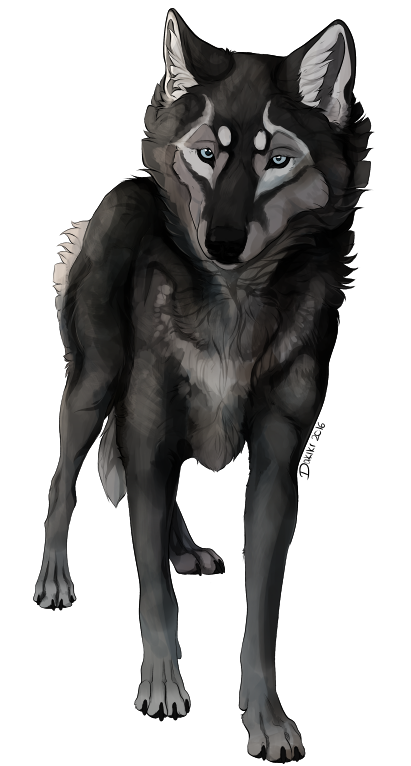 What was curious to her ears though was his mention of his new pack and how he had come about knowing of them. It seemed, unlike many of Sapient when those final days came, there had been at least one of them that had had a backup plan in their pocket. Asura was glad, as it meant that things had turned out alright for at least one of her old packmates. “Cour des Miracles?” She had heard of the pack once before from her mother. 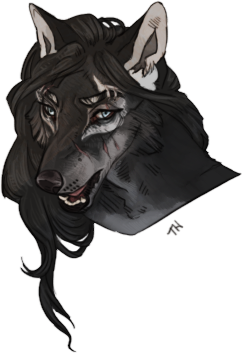 Since neither Midnight Shores or Sapient had had much to do with the pack though, her knowledge of them was limited and small. “That’s down by Casa di Cavalieri, isn’t it?” The Creo had never been further than the knightly pack’s domain, and, even, what little she remembered of them had been from her childhood and when the once-allied pack had been in a state of crisis. Whatever else of the peninsula she knew, came from stories of what it had been like before the fall of the Red Star. It made her curious to learn more about her friend’s new home and lifestyle, as well as what he had been up to in general since their pack’s disbandment. “Do you like it there? Still doing your blacksmithing thing?” She remembered that he had traveled down to Casa di Cavalieri before for part of his apprenticeship due to Leonardo having his hands full with his own apprentice and his two children. Along this same line of thinking, some part of her wondered what had drawn him to the Court instead of the knights.